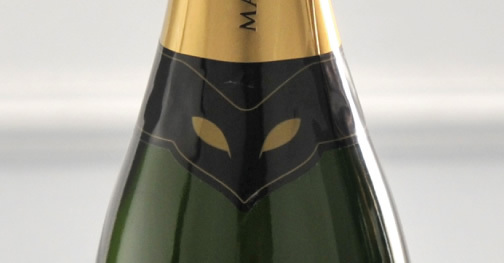 The Cuvée Brut Divin Marquis de Sade is refined and balanced. 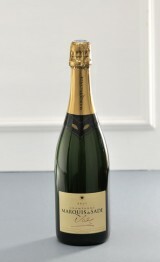 From a blend of Chardonnay and Pinot noir, it is both delicate and powerful and develop brioche and fruity aromas. This makes this Champagne a harmonious wine of pleasure, ideal for parties that start slowly and where you never know when they will finish. - Vindey near Sézanne, where the vineyards have the best reputation since the romans time (from latin: Vinum Dei, God's Wine). - Montgueux, chalk soil, the best for Chardonnay. - Fravaux, stony hill, continental weather, the best for Pinot Noir. - Color : Light gold colour, a few clear yellow straw, a fine green reflect show the strong Chardonnay presence. The bubbles are fine and staying, this means a strong fermentation in a cool temperature. - Nose : sharp and strong, giving fruity and brioche smell. In mouth, liveliness and freshness a lot. A beautiful balance, finesse and elegance, strenght and vinosity. - Taste : A good lenght for this splendid wine that will be able to age harmoniously.